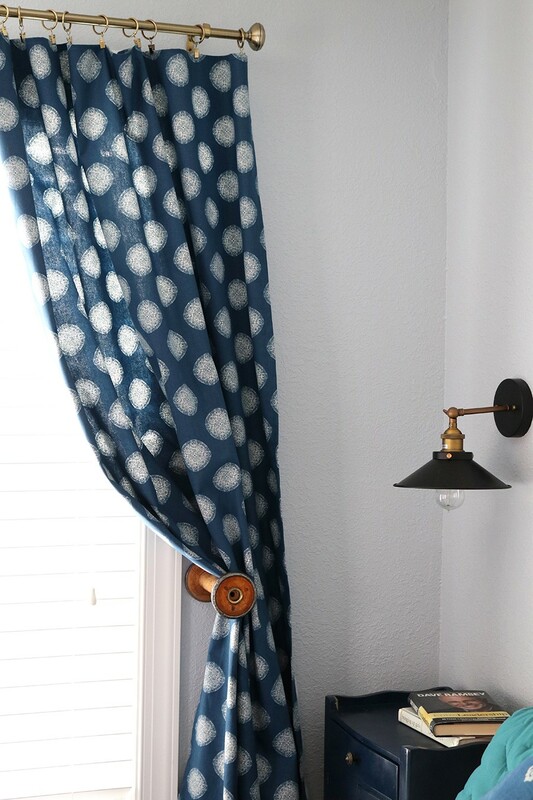 I have been meaning to hang curtains in our house since…oh, when we moved here 3 years ago. Lol. 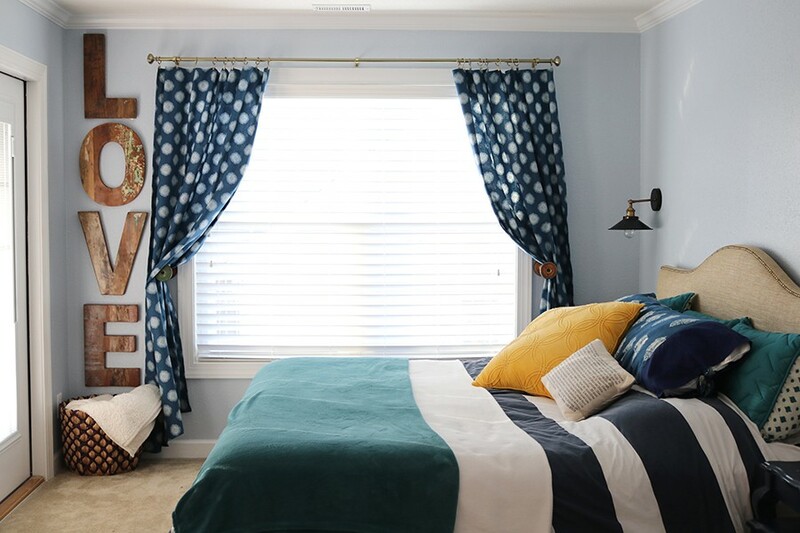 This year I have started to make or buy curtains for a few windows here and there in our home, and am totally amazed at just how much a difference curtains can make in a room! Its one of those things that you never really realize, until you hang them. And then BAM, the room suddenly just feels more homey. 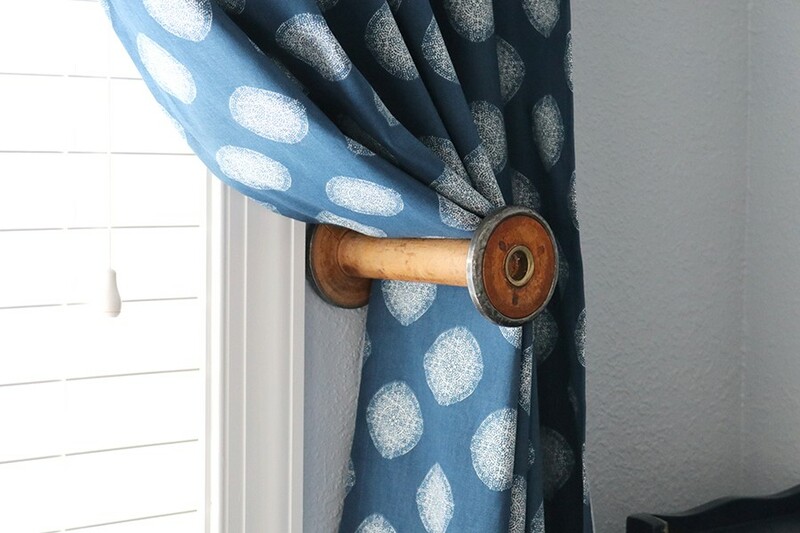 Curtains, one of the easiest things you can sew but for some reason I avoid them like the plague. What is it with those long straight lines? 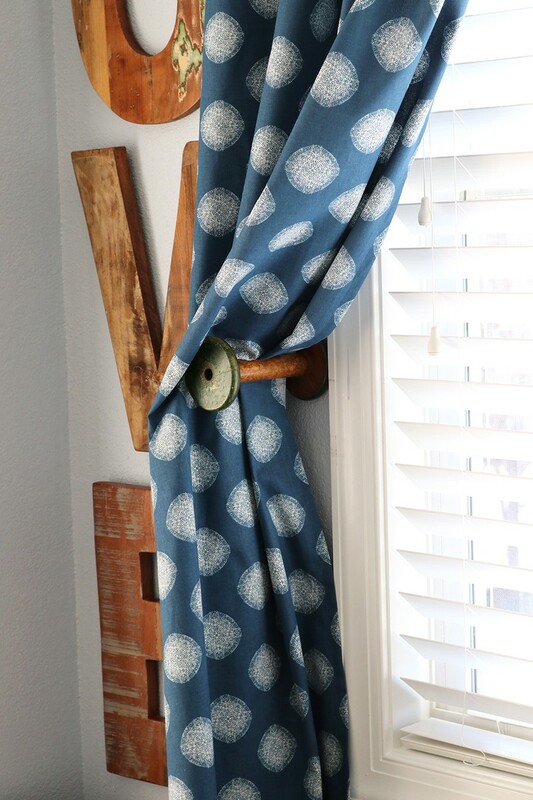 For this reason, I like to keep it super simple every time I make them – we are talking basic rectangles and curtain hooks folks. 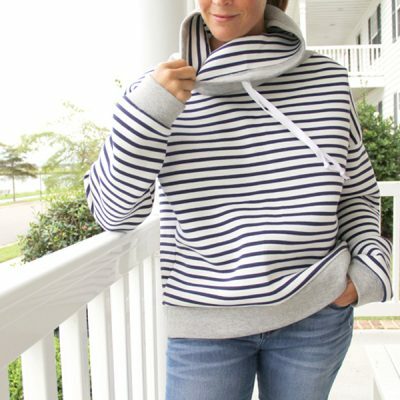 And that is only when I cannot find exactly what I want for purchase, because as we all know the cost of fabric alone is usually equal to / or greater than the cost of simply buying the curtains out right! 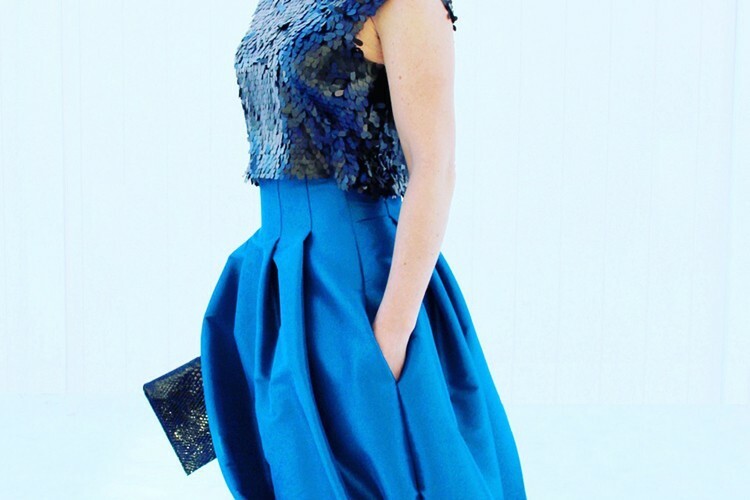 But as any designer will tell you, the attention is always in the details. 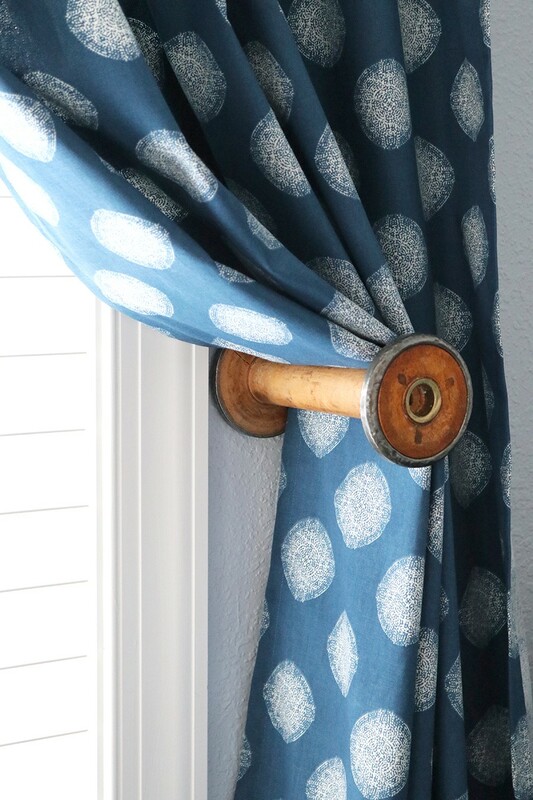 So where I may not want a complicated or sophisticated curtain project, I do want details around my curtains that will make them POP. 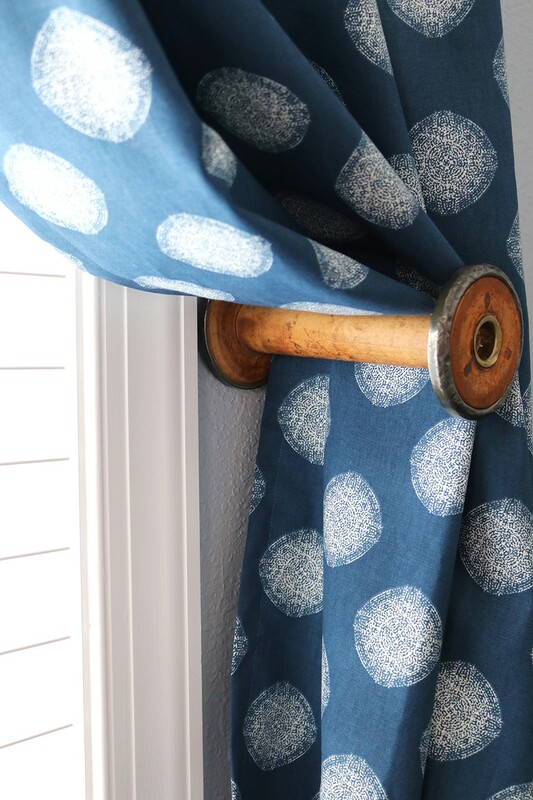 That’s when I came up with the idea to use some of the vintage thread spools I had lying around. Visit any antique shop and you are bound to find these bad boys lying around. I have a small collection on my hands. I put them on display in my sewing studio, or various other places around the house like bookshelves. 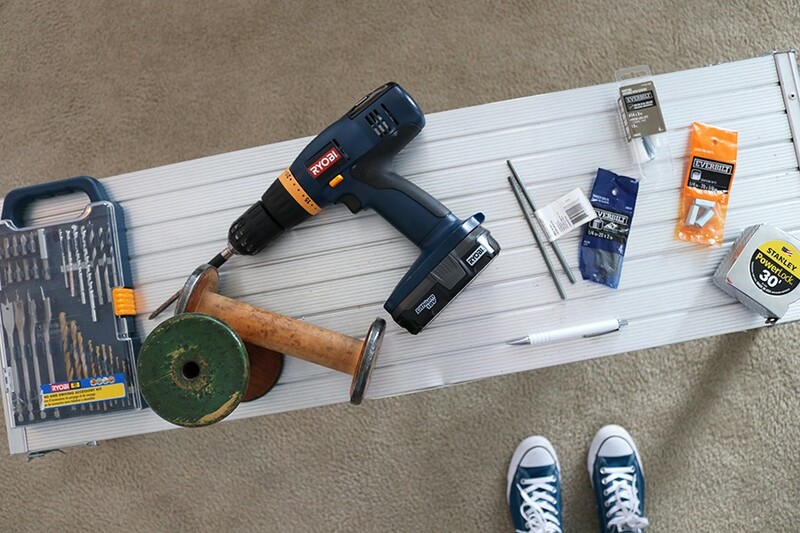 Determine the size drill bit you need by looking at the instructions on the anchor package. 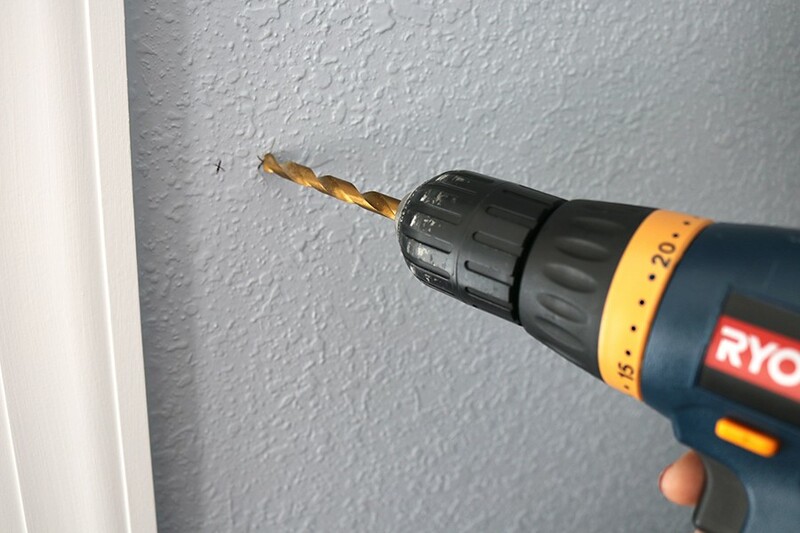 Drill a hole into your wall where marked using the recommended drill bit size. 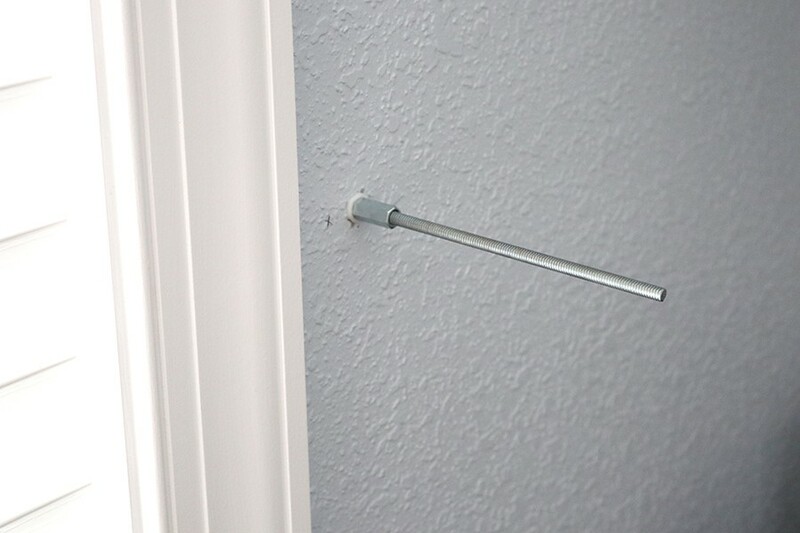 Carefully tap the anchor into the hole in your wall, until the anchor is flush. 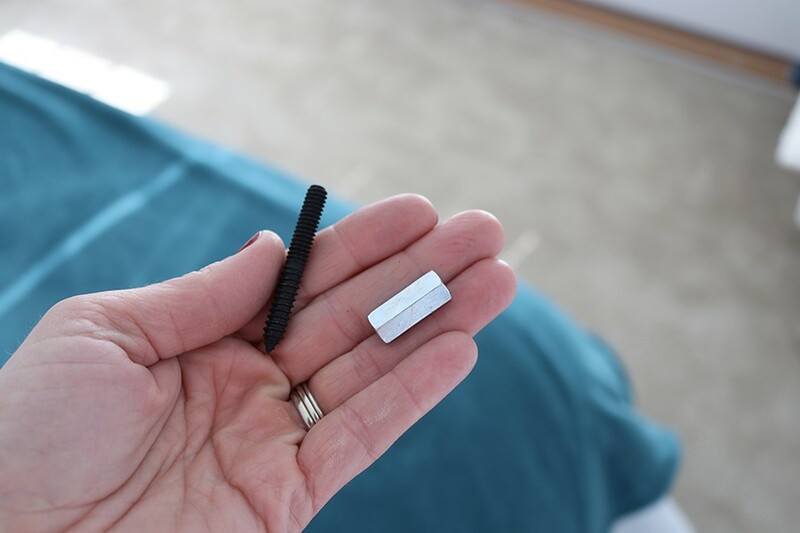 Hanger bolts are threaded on both sides, so that you can screw it into the wall and still have an exposed screw for fastening things. 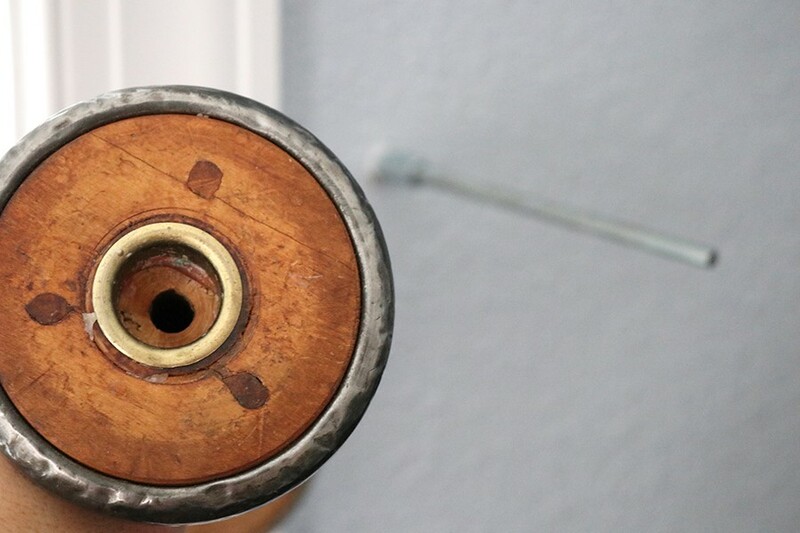 At my local hardware store, I was only able to find a hanger bolt 4” in length, which is why I needed to add length with a coupling nut and threaded rod so that the spool would be secure. 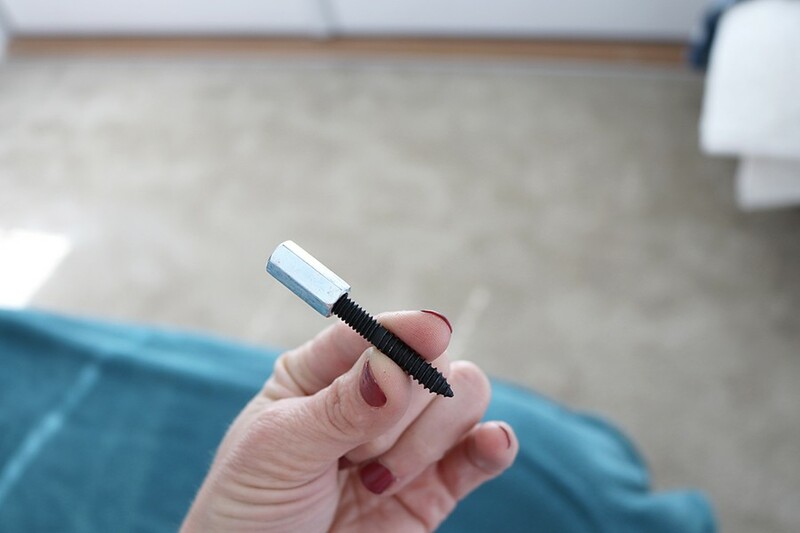 Screw the pointed end of the hanger bolt directly into your anchor. I simply used my fingers and screwed them into the wall, so as not to damage the threaded bolt. 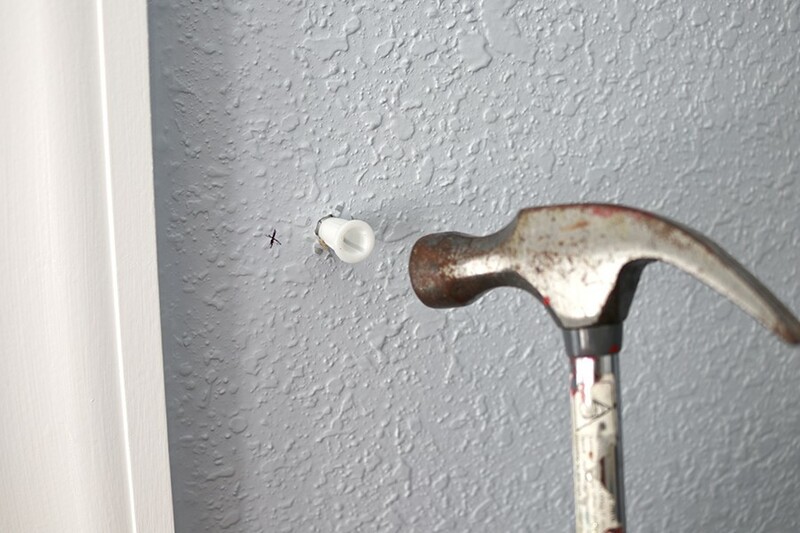 Alternatively, you can screw on a nut, and use a wrench to then screw the bolt directly into the wall. 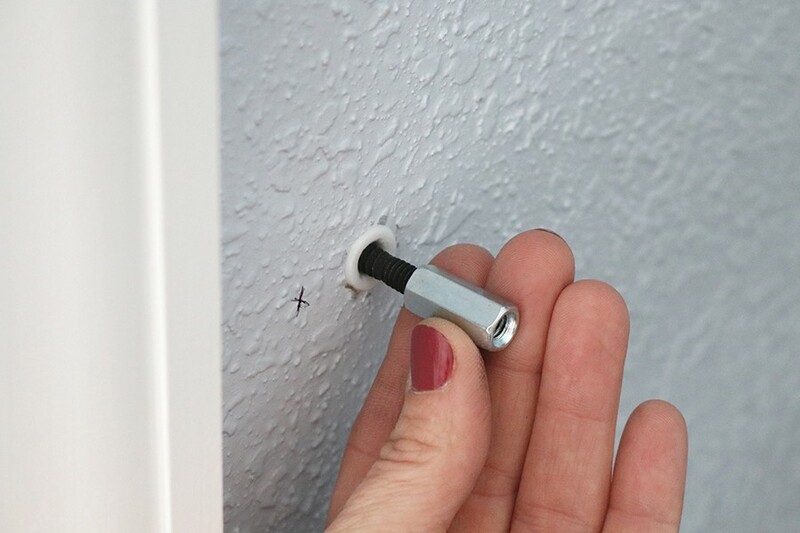 Screw the hanger bolt into the wall, leaving 1” of the exposed screw on the outside of the wall. 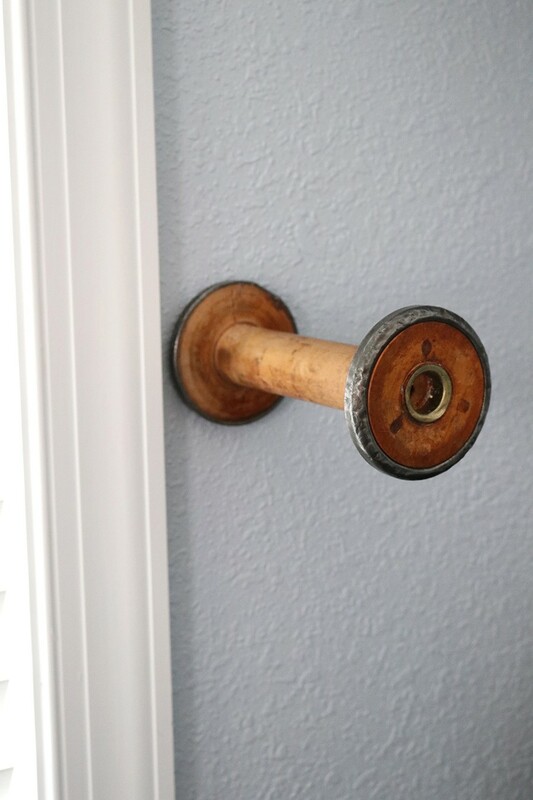 Thread the coupling nut onto the end of the hanger bolt so that the coupling nut is flush with the wall. 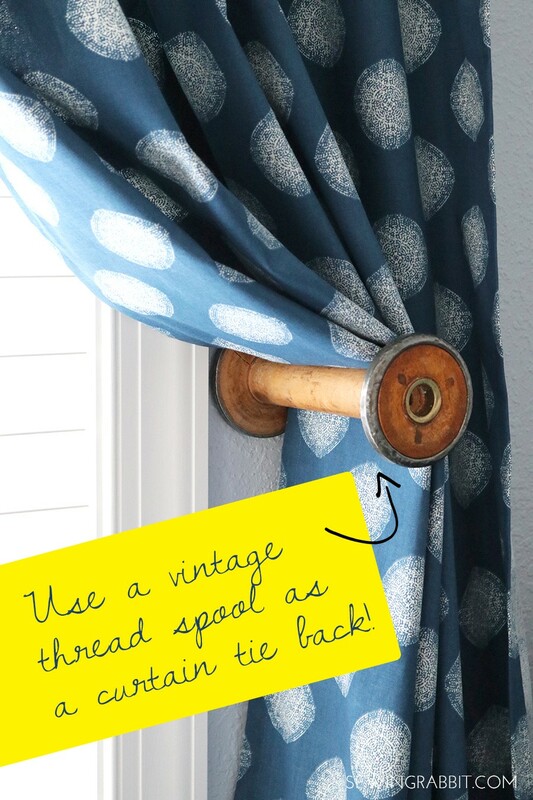 Slip the vintage spool directly over the threaded rod, and you are finished! The spool will be easily removable when it comes time for a change, yet secure with the length of threaded rod that it will not fall off.